It would be the biggest single infrastructure project in history of India with an estimated cost of over Rs 40,000 crore. To counter China, India is all set to embark on an ambitious road project along the McMahon Line in Arunachal Pradesh. 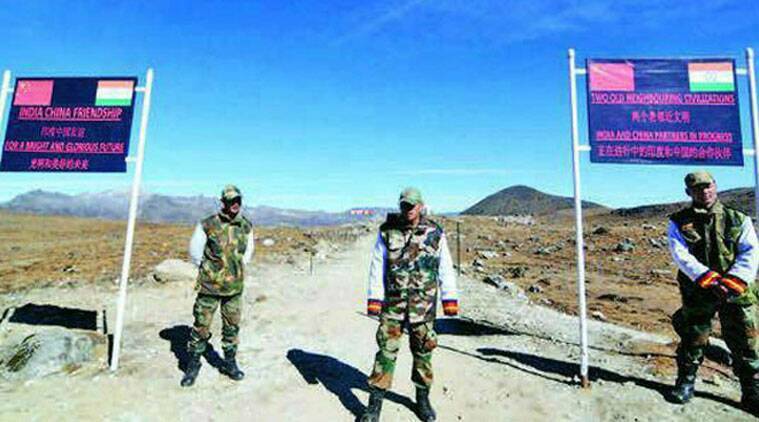 The proposed Indo-China frontier highway, that will be monitored by the Home Ministry will run parallel along the China border and will be 1,800 km long. The government is also planning an industrial corridor in the state which also happens to be the parliamentary constituency of MoS (Home Affairs) Kiren Rijiju. The ministry has set the ball rolling and has asked the Ministry of Road Transport and Highways (MoRTH) to prepare a detailed project report. “The MoRTH has been asked to submit it at the earliest. It will also include the cost and other financial implications of the project,” said a senior MHA official. The proposed highway will pass through Tawang, East Kameng, Upper Subansiri, West Siang, Upper Siang, Dibang Valley, Desali, Chaglagam, Kibito, Dong, Hawai and Vijaynagar in bordering areas of Arunachal Pradesh. The Government has already relaxed environmental clearances for border area projects. “The construction of the road will be a huge challenge considering the rough and hostile terrain, mostly snow-fed, through which it would pass, and will be the biggest single infrastructure project in the history of India with an estimated cost of over Rs 40,000 crore,” Rijiju said in Itanagar. A similar project — the Trans-Arunachal highway, announced by the UPA government in 2008 to connect the middle of the state — is moving at a snail’s pace with only 230 km of 2,400 km project completed so far. “The aim is to construct a seamless travel from one part of the state to another. As the terrain is not smooth along the border areas, we will intersect the highway with tunnels so that the link is not broken anywhere,” said a senior MHA official. Officials said other stakeholders like Defence Ministry and Ministry of North East Affairs will also be roped in for the project. “Once the frontier highway takes off, the industrial corridor will also be constructed in southern Arunachal. All the three projects will then be interconnected,” said the officer.